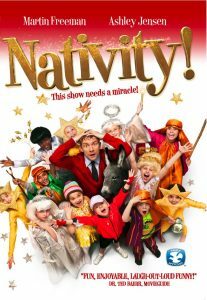 This Christmas, primary school teacher Paul Maddens is charged with producing the school's nativity play. Competing against the posh rival school for the honor of best reviewed show in town, the stakes are raised when Paul idly boasts that his ex-girlfriend Jennifer, a Hollywood Producer, is coming to see his show with a view to turning it into a film. The only trouble is - they haven't spoken in years. With eccentric assistant Mr Poppy fuelling his 'little white lie', Maddens suddenly finds himself a local celebrity and at the center of quarreling parents and over-excited children desperate in their bid for fame and fortune. Maddens' only hope is to get back in touch with Jennifer and lure Hollywood to town so that everybody's Christmas wishes come true.